Building 67 is a 372,000 square foot, 14 floor high rise concrete building located in the Denver Federal Center. the Denver Federal Center is a collection of 44 federal buildings totaling 4 million square feet of rentable space. 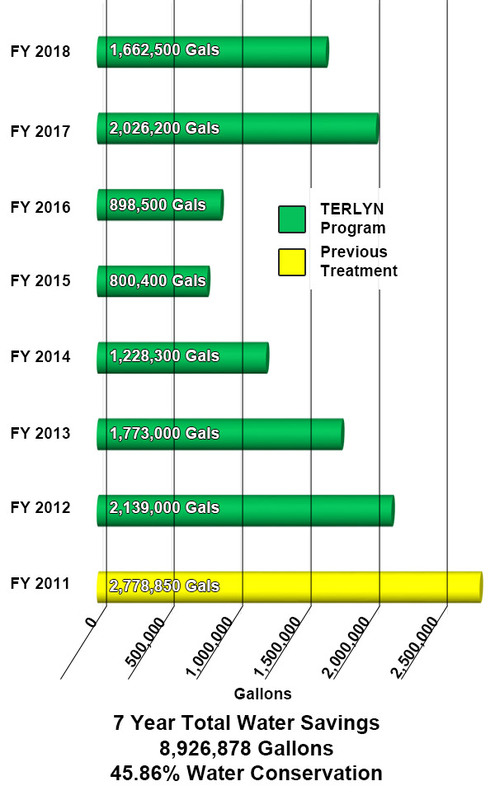 The savings graph shows the monthly water usage of the cooling tower on the previous water treatment program versus the Terlyn Conservation Program. Due to the high quality potable water in from Denver Water, the previous water treatment program was able to maintain 5 cycles of concentration.